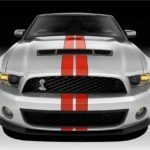 Nachdem der 2010 Shelby GT500 bereits im letzten Jahr ein ordentliches Upgrade verpasst bekommen hat, legt Ford zusammen mit dem SVT Team, jetzt nochmal nach und verbessert den 2011 Ford Shelby GT500 abermals. Gewichtsreduzierung und Leistung stand bei SVT diesmal ganz oben, so ist der Neue um fast 50kg leichter geworden und hat jetzt eine Leistung von 550 PS, das sind 10 PS mehr als die aktuelle Variante. 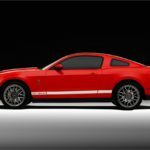 Verbaut wird dabei wieder ein Kompressor geladener 5.4L V8 Motor, wobei nun ein besseres Verhältnis von Power zu Gewicht erzielt wurde. Der Verbrauch wurde dabei abermals gesenkt, die Beschleunigungszeiten verbessert und die Fahreigenschaften (Handling, Kurvenverhalten) verbessert. Neu ist auch die elektronisch geregelte Lenkung (EPAS – Electric Power Assist Steering), die niedrigere Fahrzeughöhe um die Dynamik und Fahrverhalten zu verbessern sowie die verbesserte Steifigkeit des Cabrios. 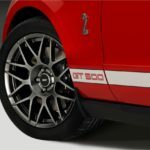 Optional bietet SVT zudem ein SVT Performance Paket an, dieses beinhaltet einen Heckspoiler und 19-Zoll Alufelgen vorne, sowie 20-Zoll für hinten mit Goodyear Eagle F1 SuperCar G:2 Reifen. Komplett wird das Paket durch eine neue Auspuffanlage mit aggressiveren Sound, welcher auch zu den neuen 10PS an Mehrleistung verhilft. 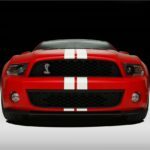 Der 2011 Shelby GT500 ist der erste Shelby der ohne die Benzinverbrauchssteuer (gas guzzler tax, nur in den USA) auskommt und verkauft wird. Der Durchschnittsverbrauch soll bei 10L/15L pro 100 km (Stadt/Autobahn) liegen. 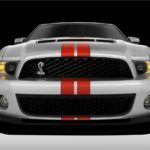 Hier könnt ihr Euch den 2011 Ford Shelby GT500 – Order Guide herunterladen! Mehr Infos, Bilder und Videos nach dem Klick! 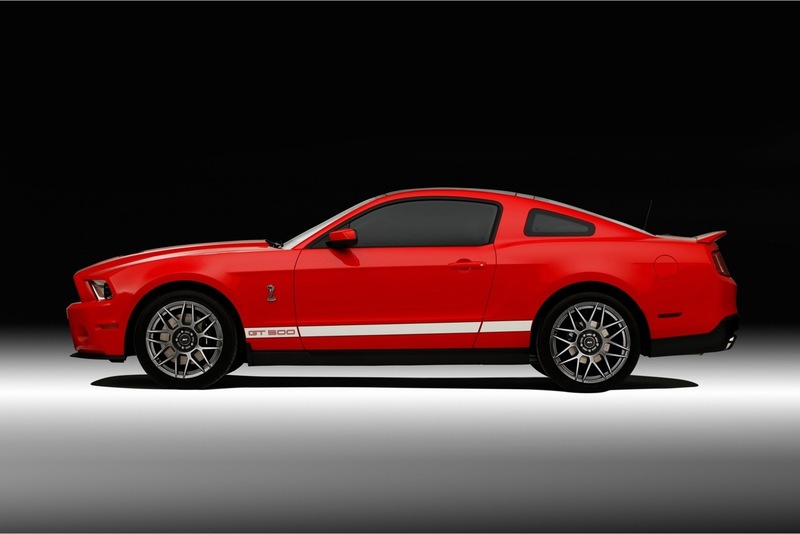 DEARBORN, Mich., Feb. 8, 2010 – Ford’s Special Vehicle Team (SVT) engineers are taking high performance to a new level with the 2011 Ford Shelby GT500, resulting in a car that has an all-new aluminum-block engine, even better driving dynamics and handling, improved fuel economy and more horsepower than ever. 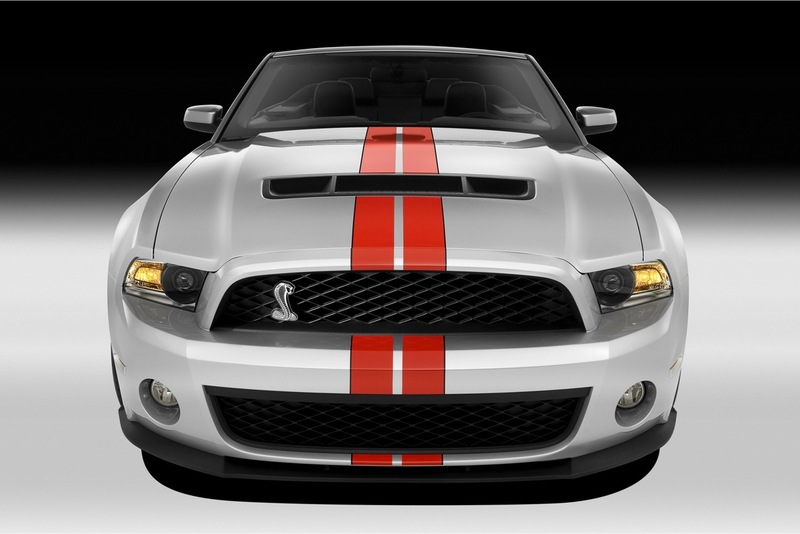 The 2011 Shelby GT500 is powered by an all-new aluminum-block 5.4-liter supercharged V-8 engine, which produces 550 horsepower and 510 ft.-lb. 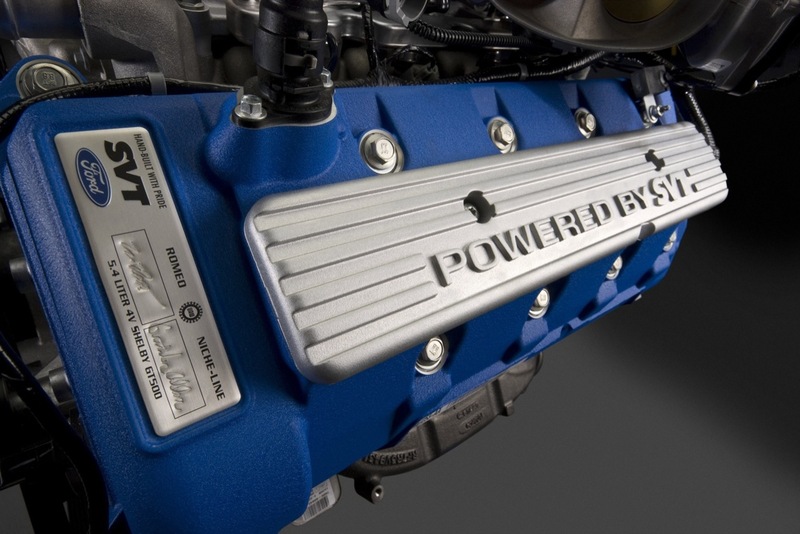 of torque, a 10 horsepower increase versus the 2010 model. 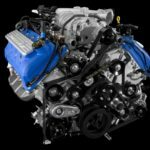 The engine also is 102 pounds lighter than its predecessor, delivering a better power-to-weight ratio, improved fuel economy, acceleration, handling and steering precision. 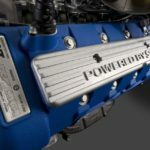 The new engine uses state-of-the-art Plasma Transferred Wire Arc (PTWA) liner coating, a process that applies a 150-micron composite coating that contains nanoparticles on the internal surfaces of engine cylinder bores, replacing cast-iron liners typically used in aluminum engine blocks. 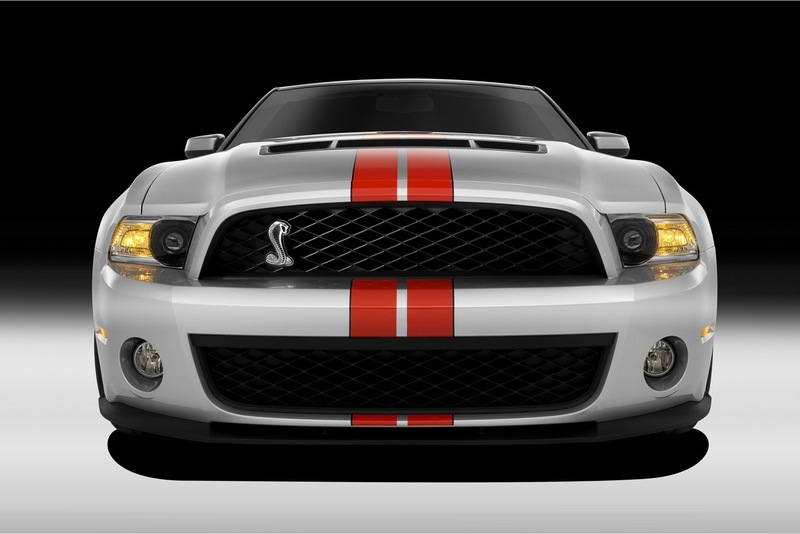 The Intellectual Property Owners Education Foundation honored the inventors of the Ford-patented PTWA technology with the 2009 National Inventor of the Year Award. 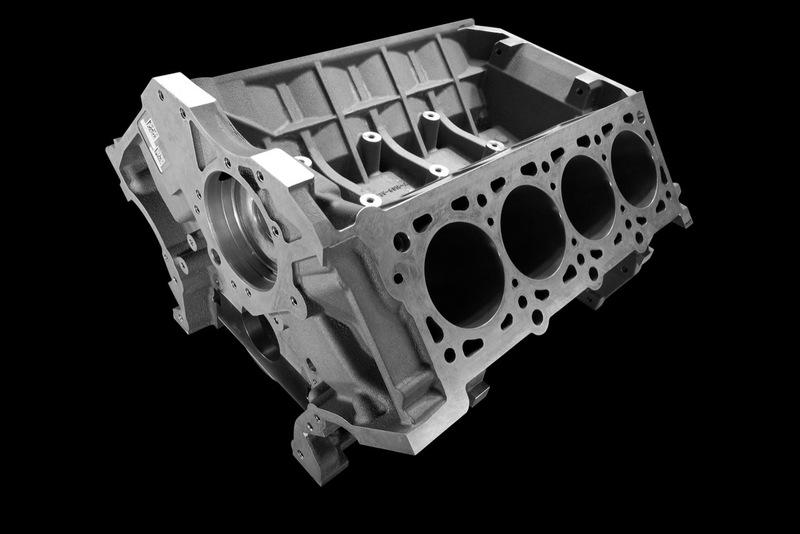 This is the first Ford application of the technology, and it offers improved overall performance and durability, along with functional benefits of reduced friction between piston rings and cylinder bores, improved heat transfer due to increased surface contact area and a weight savings of 8.5 pounds compared to a typical steel-sleeved aluminum block. A mechanical roughening process provides higher material adhesion for the spray coating. The PTWA process uses air and electricity to create a plasma jet of 35,000 degrees Fahrenheit, which melts a steel wire that is fed into a rotating spray gun. 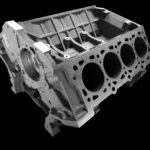 Using atomized air, the melted steel wire is blown into a specially machined surface of the aluminum-block engine cylinder bore. In the process of melting and applying the metal to the surface, the steel wire oxidizes, creating a composite coating consisting of both iron and iron oxide. 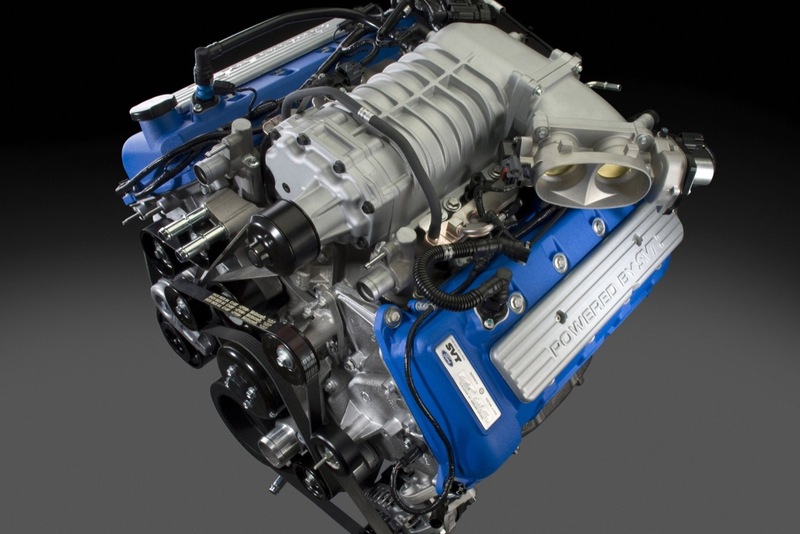 The new engine also has its roots in the iconic Ford GT. 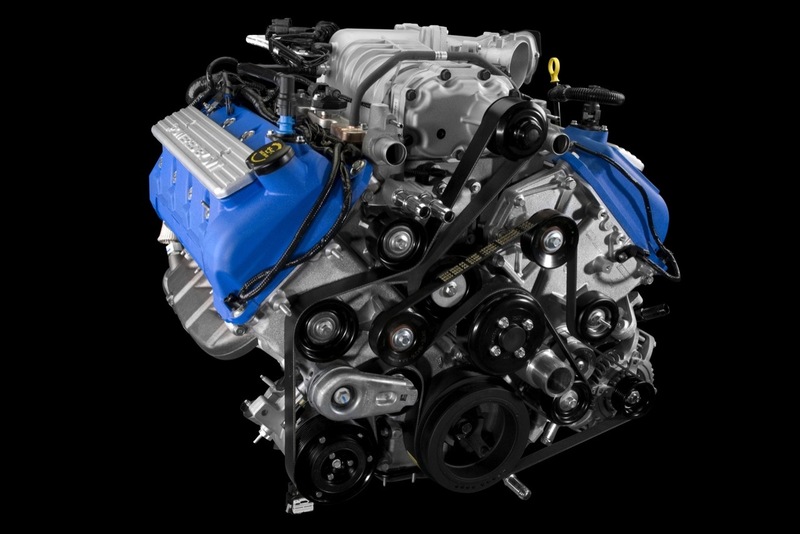 The new 5.4-liter engine is an evolution of the GT engine, with improved block structure through the use of a unique bulkhead chilled process and six-bolt billet main bearing caps. 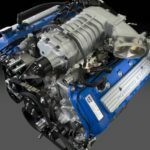 This new advanced engine will exceed Ford GT performance with its traditional supercharger technology. 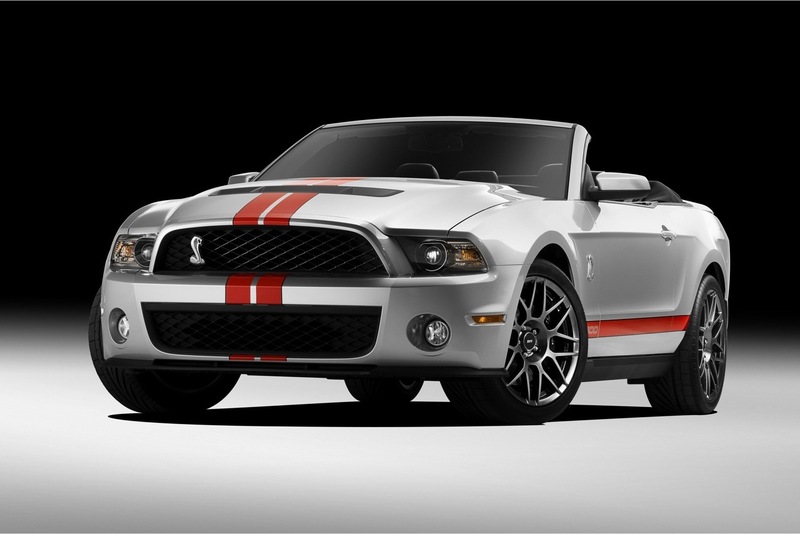 The 2011 Shelby GT500 combines power and fuel economy into one impressive package. 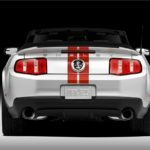 This 2011 Shelby GT500 will be the first modern Shelby without the gas guzzler tax, thanks to the EPA-projected 23 mpg highway and 15 mpg city it will deliver. This is up from 22 mpg highway and 14 mpg city for the 2010 model. 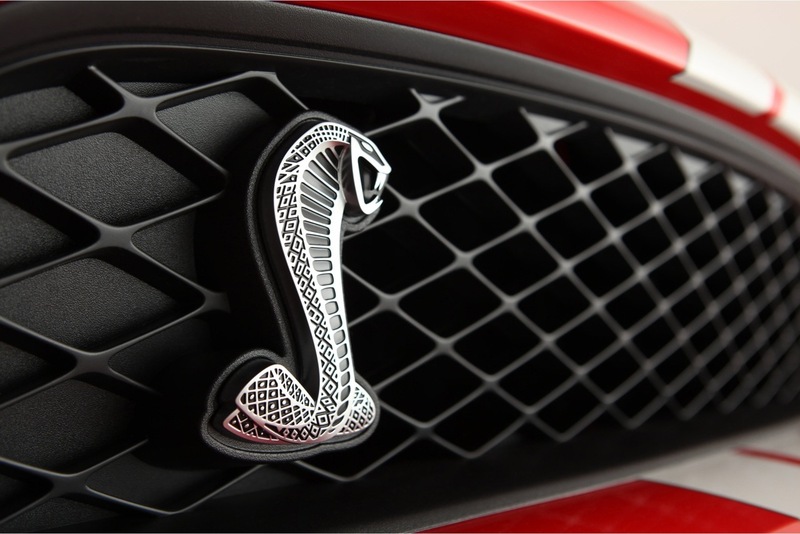 The 5.4-liter V-8 achieves 80 percent of its torque between 1,750 and 6,250 rpm, giving the car a higher level of performance feel. 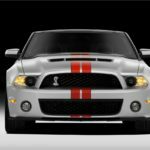 A larger two-row intercooler for the supercharger system has 40 percent more cooling capacity, helping to make power more consistent in higher ambient conditions. 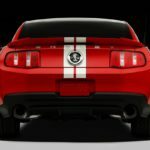 Fuel economy gains come from the new 102-pound-lighter aluminum-block engine, EPAS and detailed aerodynamic changes to the underside of the vehicle. 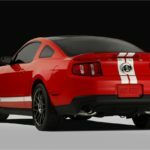 New for 2011 is an SVT Performance Package for enthusiasts who want even more performance out of their Shelby GT500 for racetrack-ready driving dynamics. 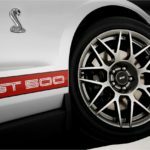 Complete with all-new Goodyear Eagle® F1 SuperCar G: 2 tires that SVT engineers worked directly with Goodyear to develop, the car is ready to race. 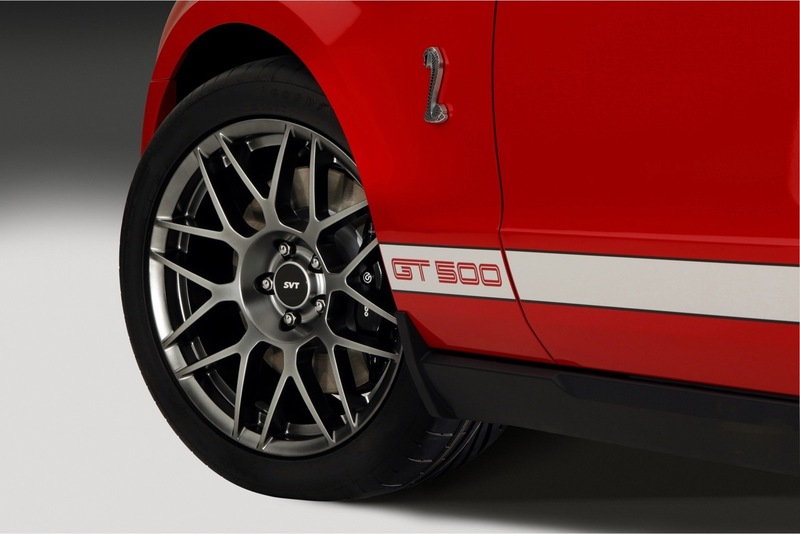 The tires offer superb dry traction and precise handling, complete with a race-inspired high-performance tread compound. 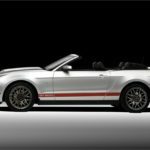 The optional package also offers unique styling, lighter wheels, a higher rear axle ratio and stiffer springs, and it is available on both the convertible and coupe. 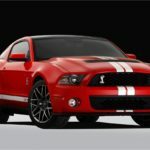 Data show the 2011 coupe with the SVT Performance Package is 3.0 seconds faster per lap than the 2010 Shelby GT500 on a 2.3-mile test track. 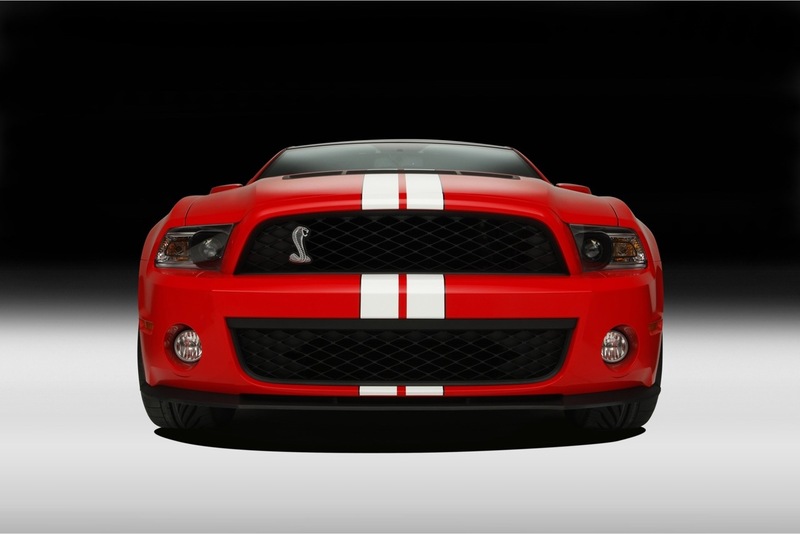 Carried over from 2010, the 2011 Shelby GT500 features AdvanceTrac®, Ford’s stability control system with several options for performance. 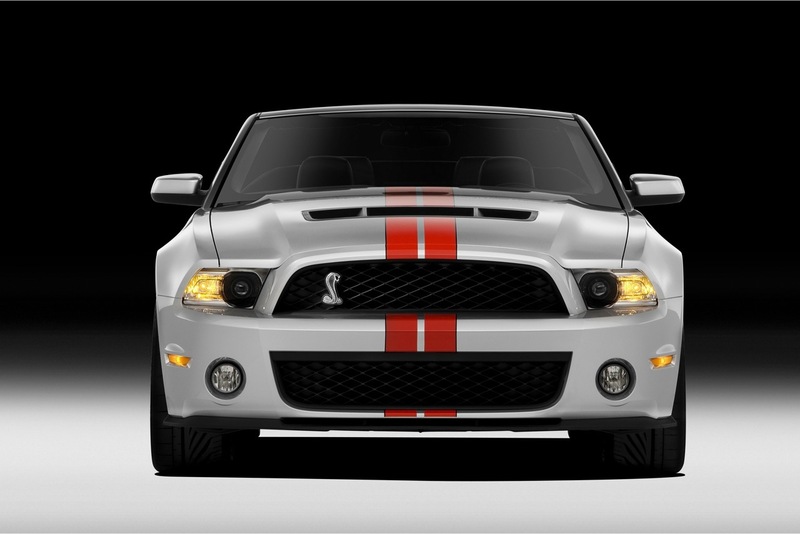 Calibration of the system for the 2011 Shelby has been uniquely tailored to each vehicle configuration (base or optional) to optimize the performance. 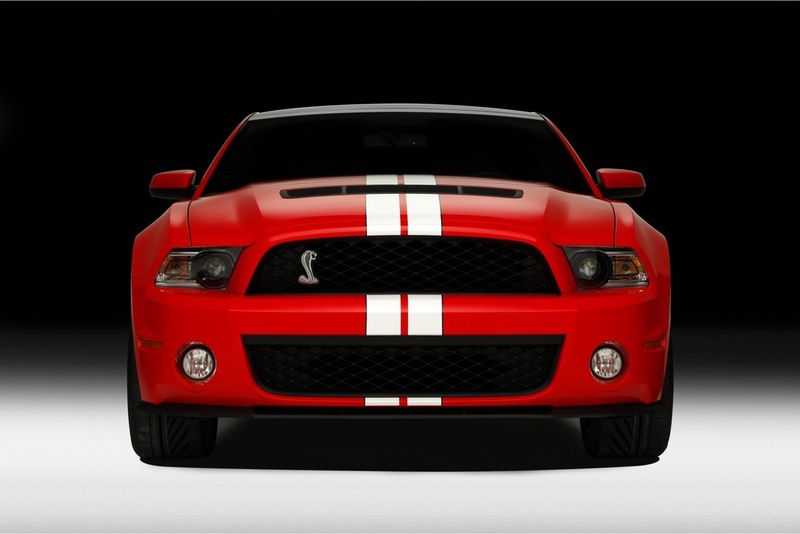 SVT has worked very hard to make EPAS better than the outgoing hydraulic steering system. 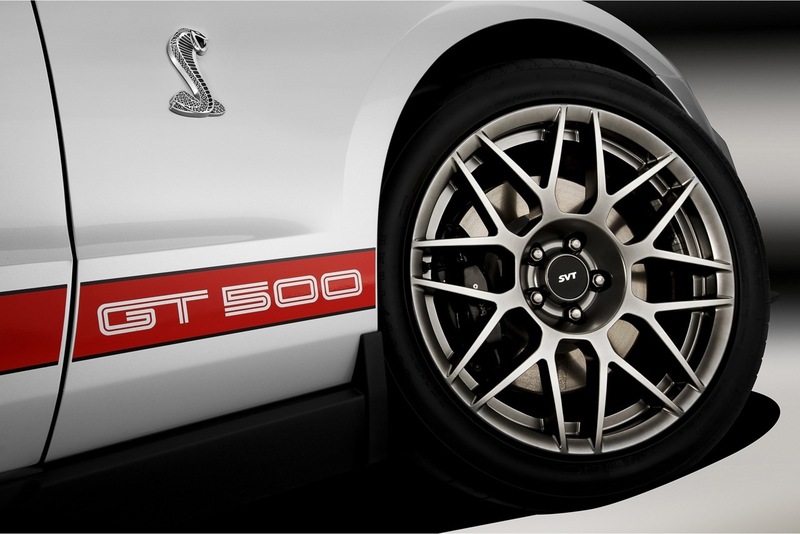 The addition of EPAS makes for a dramatic contribution to Shelby GT500 driving dynamics, with improved torque build-up and road feel that delivers quicker and more precise steering, increased effort on the racetrack or winding roads, and reduced effort in low-speed parking maneuvers. Slotted brake dust shields were added to improve brake cooling and handling, and a new pedal box improves clutch and pedal efforts even more. 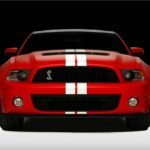 A lowered ride height of 11 millimeters in front and 8 millimeters at the rear provides a sportier attitude and improved handling. 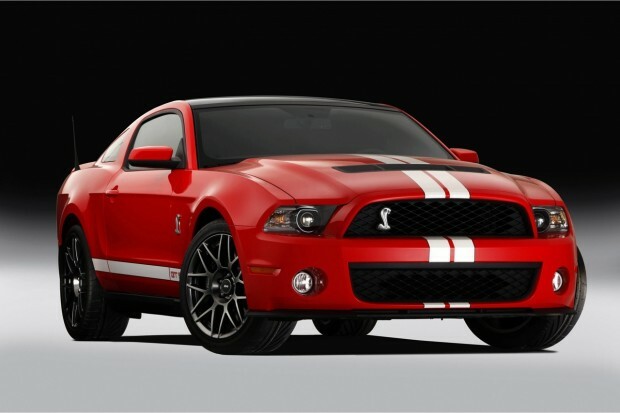 For 2011, Shelby GT500 also benefits from NVH (noise, vibration and harshness) improvements. 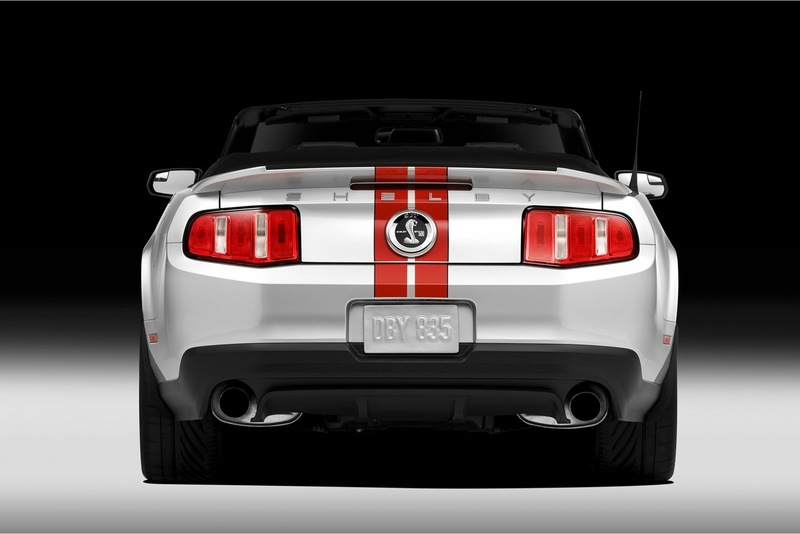 Overall road noise is reduced by 20 percent versus the 2010 Shelby. 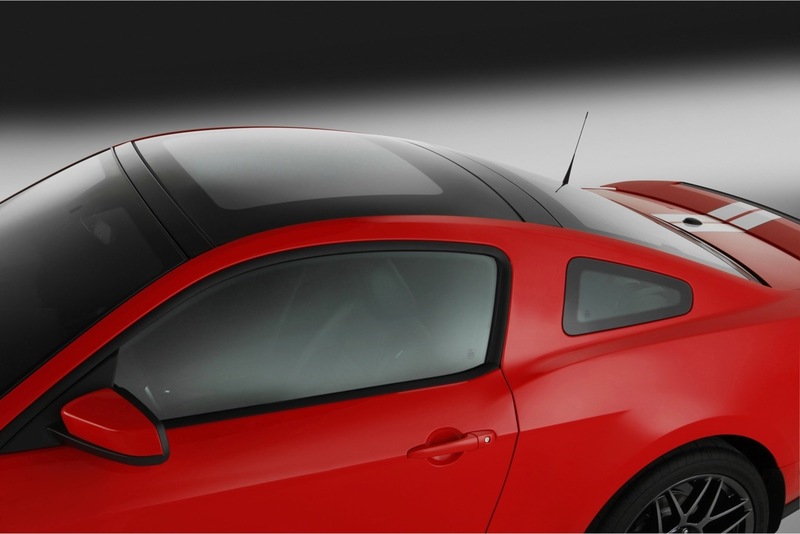 Actions undertaken to achieve this improvement include additional sound-deadening material on either side of the instrument panel, additional sound absorption behind interior trim panels, and a rear wheel arch liner to reduce noise on gravel or wet surfaces – all resulting in the driver hearing more exhaust and engine sound and less road and air noise. 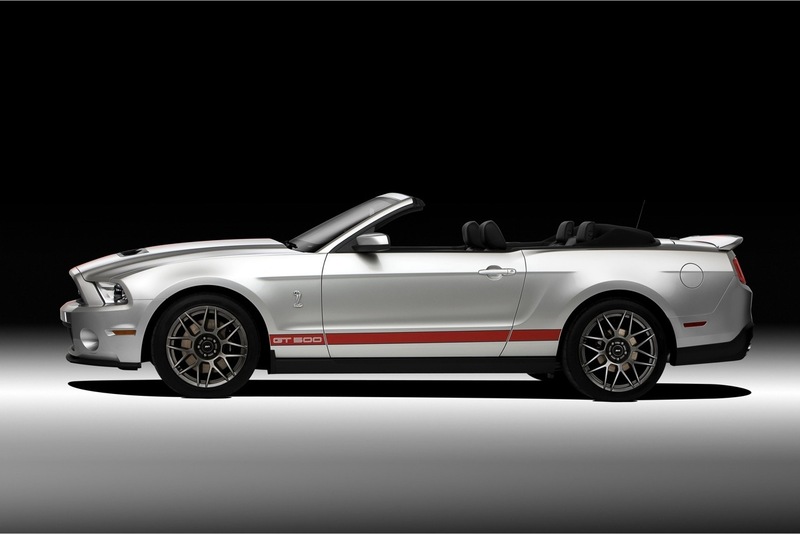 The Shelby GT500 convertible model features enhanced structural rigidity, with lateral stiffness improved by 12 percent versus the 2010 model. The V-brace has been stiffened by adding gussets. The secondary crossmember also has been stiffened, while a front Z-brace has been added, connecting primary and secondary crossmembers. 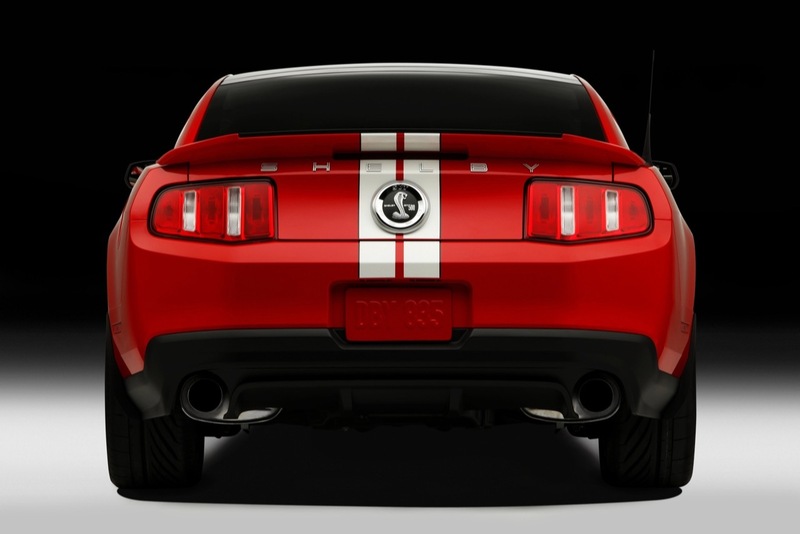 A-pillar stiffening foam has been added to increase rigidity. 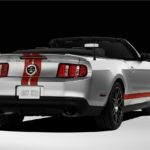 The structural improvements to the convertible gave SVT the opportunity to be more sport-oriented in the chassis tuning, without trading comfort. 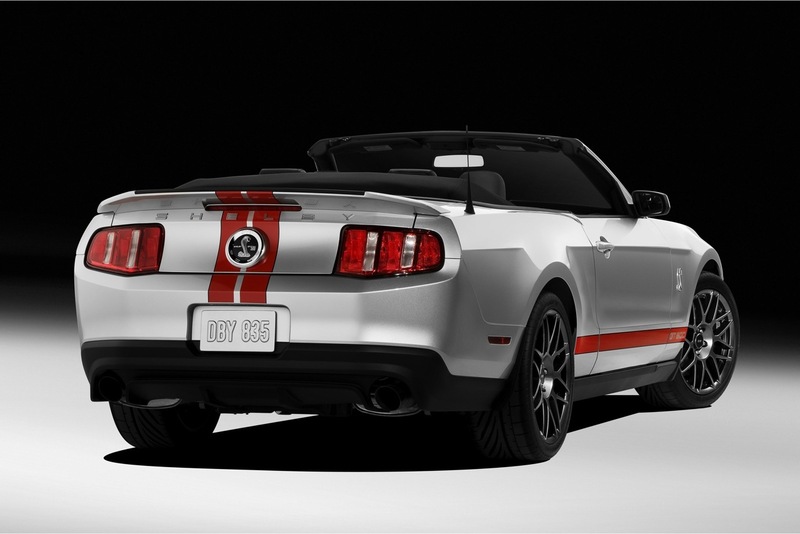 Along with the chassis and structural improvements, the 2011 model also will get standard 19-inch aluminum wheels. 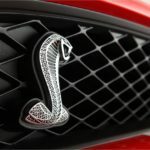 GT500 gets a new exhaust for 2011, roaring with an even more aggressive sound than the 2010 model. 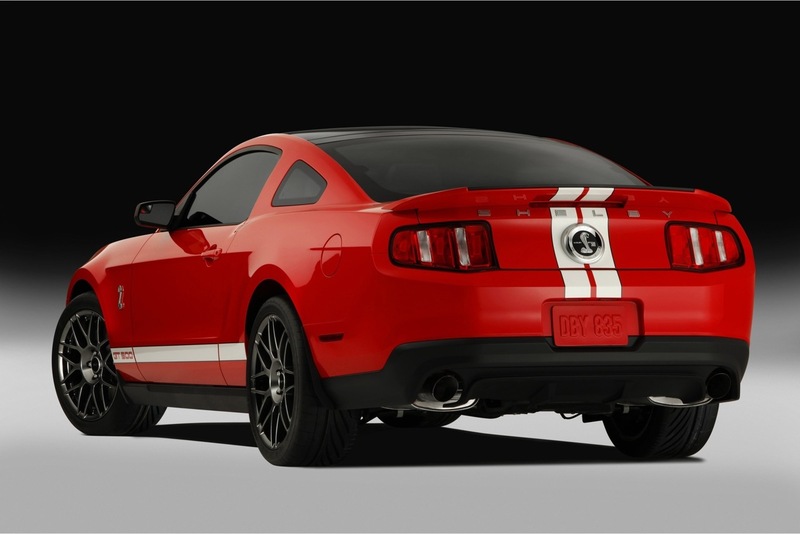 The 2.75-inch exhaust with all-new tuning helped to deliver the additional 10 horsepower. 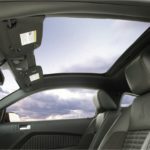 New for 2011 is an optional glass roof, providing customers with a less expensive option than a convertible and without compromising the coupe’s versatility, headroom or climate-controlled environment. 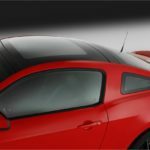 The specially formulated glass also protects interior fabric material from solar radiation deterioration and discoloration by reducing solar light transmittance. 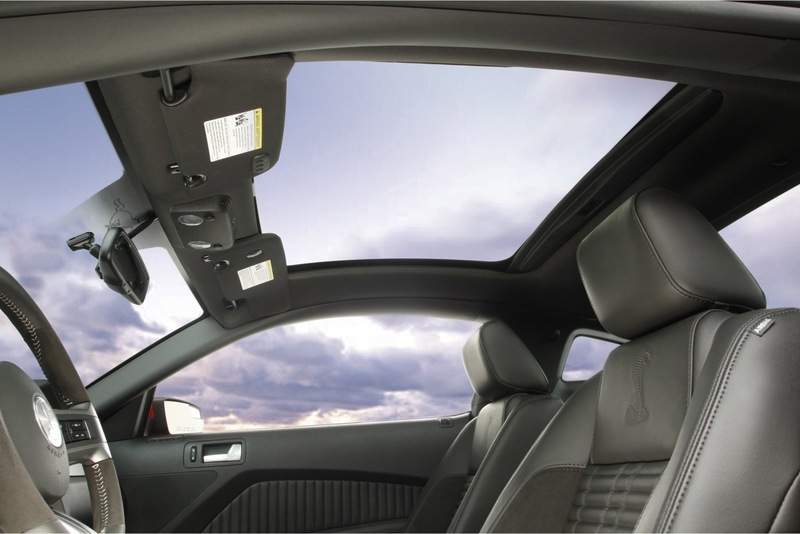 To help improve acoustics and interior quietness, the glass features a layer of vinyl that reduces noise, vibration and harshness. 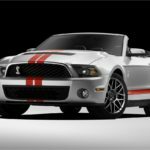 Ford Shelby GT500 Gallops Along the Mohawk Trail!